More students than ever before have made the decision to include a study abroad experience into their undergraduate careers. Yet less than 10% of American undergraduates actually study abroad each year, so some parents may not have had any experience with the concept of earning credits overseas. Closer to 30% of TCNJ undergraduates study, intern, teach, or volunteer overseas, which still means that over two thirds of our students choose not to study abroad. This page has been developed to help parents appreciate what “study abroad” means and how TCNJ supports students through the process. Education abroad programs help students prepare for the 21st century global marketplace, graduate and professional schools, and community life at home. Learning takes place inside and outside the classroom, and TCNJ programs have been designed to help students capture those lessons and use them in their academic careers and their personal lives. We use the term “Education Abroad” to describe a variety of credit-bearing learning activities: study abroad, intern abroad, research abroad, and service abroad. We also help students seeking work opportunities abroad as well as volunteer programs, and we support the TCNJ School of Education’s Global Student Teaching program for education majors who would like to do part of their student teaching semester at an international school in another country. Our main focus is the integration of international academic experiences into students’ degree programs at TCNJ. All of our credit-bearing programs may be found in our online program directory. Students are automatically registered to use this directory, which also serves as a platform for our online application system. They simply need to log in using their PAWS username and password through our MyTCNJ portal. 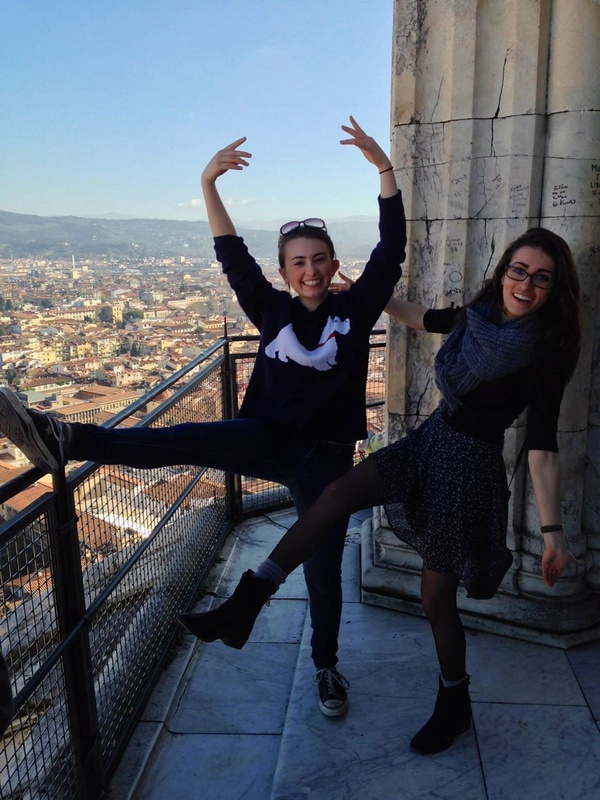 Looking at “study abroad,” there are five types of summer, semester, or year-long programs. Many of the programs – in all categories – offer combinations of traditional coursework, internships, and service-learning (or volunteer) opportunities. Students should not expect to receive paid internship offers during their time abroad. As time goes on, programs are becoming more diversified, and it is to the students’ advantage to ask about what opportunities might exist at their intended destinations. All programs listed in the online program directory have been evaluated by the Center for Global Engagement and approved for credit by the Global Engagement Program Council (GEPC), part of the TCNJ governance system. The GEPC has eight faculty members, two staff members, and four student members. Several more universities will be added to this list over the next year. 3. Direct – TCNJ has a one-way relationship with an international university, with TCNJ sending student to the university overseas. The student pays the fees of the international university. No TCNJ tuition is charged. 4. Study Abroad Provider – TCNJ works together with a number of organizations and companies to place its students in quality study abroad programs, most of which are based on the campuses of international universities. The provider often has a resident director and/or staff to address the needs of TCNJ students in the program. The provider sets the fees for the program, and students pay the provider directly. No TCNJ tuition is charged. 5. TCNJ Faculty-Led, Short-Term Study Abroad – TCNJ faculty members lead students on study abroad programs in the Winter, Maymester, and Summer sessions. These are regular TCNJ courses taught for TCNJ credit, but they allow faculty to teach their courses in an overseas setting. The slate of courses change annually. The Center for Global Engagement is an office of the Academic Affairs division of TCNJ. We work closely with TCNJ’s faculty and administration to help students identify appropriate programs that help them meet academic and personal development goals. Students may find us at an informational event, class presentation, or perhaps through a faculty member’s referral. In a typical advising appointment, we ask students about their academic and career plans, goals for a study abroad experience, and their desired destination(s). Frankly, we also ask them if they are aware of their financial aid and scholarship status (and we show them how to find that information on PAWS if they don’t know). At the end of the advising appointments, we ask students to review various programs, speak with their academic advisors, consult with their parents (or whomever might be assisting them with their program payments), and consider various scholarship programs for which they might be eligible. We strongly encourage students to start planning for Study Abroad as early as possible, to allow them the time to align their time abroad with academic opportunities and adequate financial resources. The Center’s Graduate Assistant coordinates the application process, most of which occurs online. Students need to apply simultaneously to TCNJ (for permission to study abroad) and to their desired program. At times there will be paper forms to complete, but most of the process may be managed online. As part of their applciations, most students will submit a list of courses that have been approved by the faculty – these lists determine just how the coursework completed abroad will be used by the student to complete graduation requirements. There is a $425 study abroad fee that is part of the TCNJ application process. Note: Students participating in TCNJ facutly-led programs abroad pay only a $150 fee, but they also pay a reduced rate of tuition/fees for the course taught abroad. Selected providers require an additional application fee, but often we are able to have that fee waived for TCNJ students. ISA is an exception – all students in ISA programs must submit a $200 deposit (toward the ISA program fee) in addition to the $425 study abroad fee. Within one month of the submission of these applications, students will be notified if they’ve been accepted into the program. Upon acceptance, students will work closely with the CGE on pre-departure activities, including preparations for the payment of their program fees. They will be able to use Sallie Mae payment plans to pay for study abroad in installments. Each student’s financial aid and scholarship package will be maintained intact for the study abroad term of study. Students may take out tuition insurance, as they may normally do while on campus. Students need to work with the Office of Student Financial Assistance to verify their financial aid and scholarship awards for the semester they are planning to study abroad. Once they verify the award amount, students will then need to pay that part of the program fee that is not covered by their financial aid and scholarships. Note: The timing of these payments depend on the organization, but generally students need to pay their providers around the same time as they would normally pay TCNJ. After the disbursement of financial aid and scholarships (October for Fall semester, February for spring semester), students then pay their outstanding balance to their providers. IF your child has chosen a TCNJ-sponsored semester program, a TCNJ exchange, or a TCNJ faculty-led program, there is no impact on the financial aid and scholarship award. Students who receive New Jersey Tuition Aid Grants may not use these monies to pay for programs organized by third-party organizations. They may only use them to pay for TCNJ tuition and fees. Since TCNJ-sponsored semester programs, exchanges, and faculty-led programs abroad charge students TCNJ tuition and fees, NJ-based aid may be used. Students may continue to use federal grants and loans as well as institutional scholarships to pay for study abroad. Congratulations to you and your student! We understand that you probably have quite a few questions and concerns. (Please be assured that, if your student has been working with our office, all academic credits are transferable to TCNJ and your student will not be “falling behind,” provided that s/he passes his/her courses overseas!) Below you will find several important links and activities to complete before your student departs. Carefully review the following information as well as consult your student’s acceptance packet and program provider for individualized guidance on required actions. The Center for Global Education at UCLA has published a website for parents with a thorough review of available resources to help parents prepare for their student’s study abroad adventure.